Last Friday 16 October the South West German Radio Orchestra took to the stage of the Sports Hall in Donaueschingen, for the opening concert of the town’s music festival. 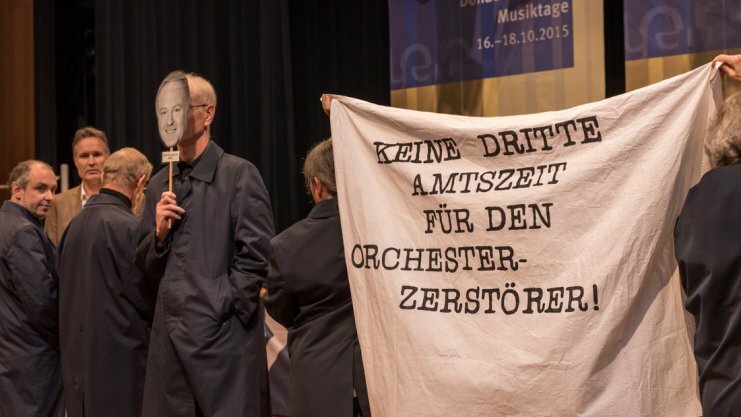 Nothing new there, except in the music on the menu: the festival has promoted music of its time since its foundation in 1921; so has the orchestra, created in 1946 as part of the postwar reorganisation of Germany’s cultural life. You can read about the three-day festival here. The qualities that made this concert remarkable are also what make it unrepeatable. It featured no ‘repertoire’ work but four premieres, of music by Johannes Kreidler, Richard Ayres, Yoav Pasowski and Johannes Boris Borowski. Each presented technical challenges, well met thanks to the orchestra’s skill, unrivalled experience in tackling new scores, extensive preparation, and direction by Peter Eötvös. All were commissions or co-commissions, paid for by South West German radio. Such a concert will never happen again, not with this orchestra, because within the next 12 months it will be merged with its sister ensemble in Stuttgart. A distinctive piece of Europe’s cultural jigsaw will be gone, probably forever. This loss was remarked upon when the orchestra made its first appearance at the BBC Proms, earlier this year. ‘More than sentiment lay behind the warmth of their reception and the bitter regret of their departure. 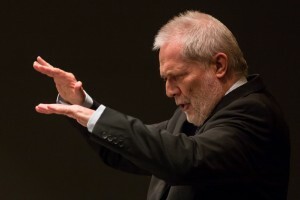 They will be missed, most of all by the composers who will not now gain a hearing, or an expert reading, and the rest of us will be poorer for it.’ You can read the rest of my review of that astonishingly accomplished concert, one of the highlights of the season, on The Arts Desk. How much keener is that loss now that the orchestra is at home, playing not old men of modernism but the music that has to be given a chance in life. No.48 by Richard Ayres had been given its first performance in London a few weeks ago – I reviewed the concert for The Arts Desk. Listening again – to the German broadcast – it felt more compact, but also more dangerous, both good signs. Listening with me, my 10-year-old son was initially baffled, as I had been, and maybe we should be – ‘This is the most messed-up piece ever. Why is that door opening and closing?’ – but won round, I think, by the unabashed, fairground exuberance of a soundworld structured like a comic book: bright, violent, concise, abrupt. Posted on October 20, 2015 October 20, 2015 by Peter Quantrill	This entry was tagged Donaueschingen, Johannes Boris Borowski, Peter Eötvös, Richard Ayres, SWR. Bookmark the permalink.